A lot of my list is nonfiction because I began to enjoy reading history and biographical books at an early age. 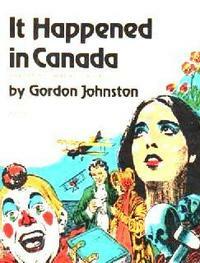 I would credit the It Happened in Canada books as a step in that process. 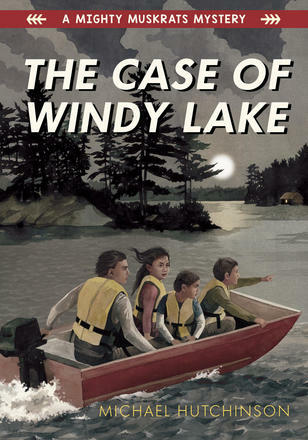 As a kid who lived at the edge of the bush or out on the farm, the Scholastic books that we ordered through school were like Christmas a few times a year. I really enjoyed the little facts and interesting tidbits within these little paperbacks and they help ignite my interest in history and the crazy bends and twists of real life. As a kid who lived at the edge of the bush or out on the farm, the Scholastic books that we ordered through school were like Christmas a few times a year. When you are part of a culture, it is sometimes hard to feel out all the edges and sides of your cultural box. Do fish realize they are swimming in water? 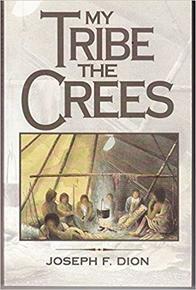 Although, Mr. Dion is Plains Cree and I am Swampy Cree there is, obviously, a lot in common between his Crees and mine. Mr. Dion’s narrative has the feel of an Elder relating his stories and he often credits his anecdotes in ways that reflect the etiquette within oral traditions. His books gave me a chance to read explanations for things within my own culture that I was too close to for me to see entirely. This book helped turn some of those experiences into concepts I could explain. Mr. Dion gave me a better understanding of some of the foundations of my culture. Being from northern Manitoba, and then moving to Winnipeg, the stories of Helen Betty Osborne and Joseph Harper echoed throughout my childhood, teen years and early adulthood. This release of Aboriginal Justice Inquiry of Manitoba report and its findings was one of the first times I started taking an interest in the politics of my people within the colonial umbrella. It was shortly after this that I began to pursue a career as a journalist. 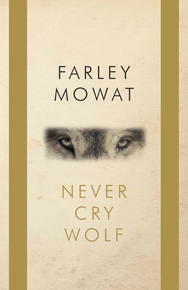 I began to believe it was crucial for First Nation stories to be told, if there was going to be a better understanding of First Nations within Canada. Although he isn’t Cree, Mr. King’s writing is a good example of the wry humour and tongue-in-cheek delivery of conversation with familiar Neechies (Cree slang for “friends”). He does an excellent job dissecting history with the Native eye and taking apart the familiar but invasive species, sacred cows. In all his books, King pulls down the story arch of mainstream story-telling and adds a bit of the Trickster to his telling. 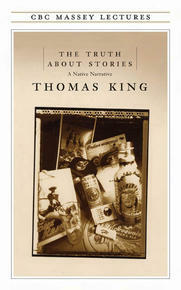 In The Truth About Stories, King discusses the role of stories and their importance in creating the realities of today and tomorrow. I am a big fan of Science Fiction and Mr. Robinson was an influence as a famous Canadian author. This book was one of the first SciFi books that I read that took the plot out of the tried and true story arch used by authors such as Heinlein and Asimov. 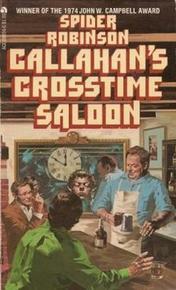 In Callahan’s, he creates a SciFi world that rarely leaves a bar on Earth and always put these cosmic problems in terms that are relatable to earthbound readers. He also used short stories with familiar characters to explore larger concepts, which always allows for a greater range of possible starting points for each chapter. 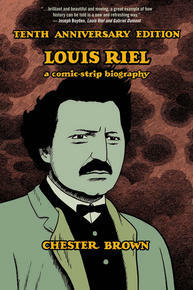 This graphic novel of the life of Louis Riel brought together my love of history, comic books and Manitoba. This is again a book that tells a familiar story in a different way, challenging both the history that some hold dear as well as the format suitable for history-telling. The pictures are simple and make the reader think that they might also be able to tell an important story in this way. Mr. Brown has created a work of art as well as a tool for education about an important time in Metis and Manitoban history. One of the great things about history is getting a better understanding of historical decision-making. 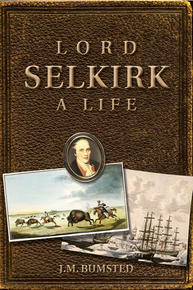 Lord Selkirk is a bit of a local hero in southern Manitoba due to his sponsoring of the Red River Settlers, who were the first European agriculturalists in the area. Mr. Bumsted does a very good job laying out the thinking of those making decisions at the time and their actions weren’t always heroic. For example, Lord Selkirk put the Red River settlement in that location thinking that the Scottish settlers could be a possible buffer against Fenian raids from the Irish in the USA. I had the pleasure of working with Mr. Bumsted on theWe Are All Treaty Peoplecampaign I did for the Treaty Relations Commission of Manitoba. It was great to meet someone so passionate about local history. The Canadian government would say I am cheating with this one a bit, but I disagree. Ohiyesa was an adolescent member of Sitting Bull’s tribe and fled into Canada with that Dakota leader after the incident at the Little Big Horn. Canada views the Dakota as refugees, but the Dakota, Cree and Anishinabae all agree that Sitting Bull was just going to the northern part of the Dakota’s traditional territory. Ohiyesa was eventually retrieved from the Canadian Prairies by his non-Indigenous father, taken back to the States and enrolled in Boston College. His books are an interesting perspective on the transition between traditional lifestyles and urban-influence. 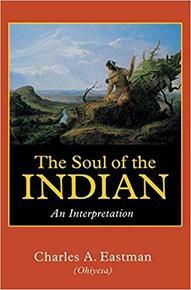 Although his teachings are not Cree, there are a lot of similarities between the worldviews of the Dakota and the Cree.